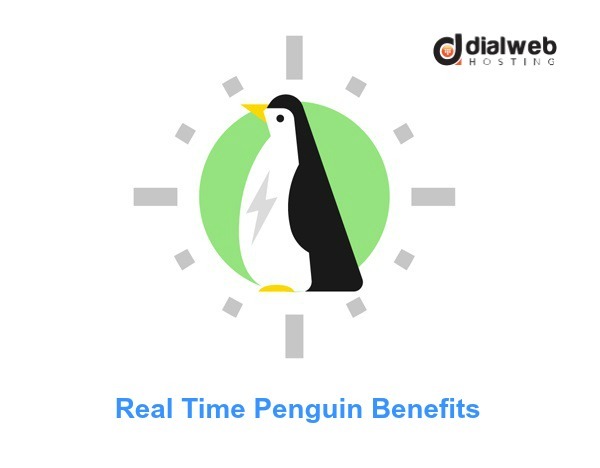 With its recent announcement of Penguin 4.0, SEO sites can heave a sigh of relief because the Penguin updates will be now available in real time. With this landmark announcement it becomes clear that Google Penguin will officially become a part of the Google Core algorithm. Earlier the list of websites which were affected by Penguin used to be refreshed periodically; however, with this new development, changes will be seen faster and will take effect immediately after re-indexing a page. Previously the Penguin would be run periodically which meant that it could be years before it was run. This in turn meant that in case a website was declared to be spam and penalized, it would have to wait for the next Penguin run before it could be viewed as “recovered”, even when changes to it had been made months ago. However, with this new Penguin 4.0, this fault was corrected and Penguin data is going to get refreshed in real time. So, the changes to a website will happen instantly and it will become visible faster. The Penguin had been mainly launched to handle spammers and those using black hat tactics. But, in the process the honest webmasters trying their level best to follow white hat tactics were unnecessarily getting penalized; so, this new update was introduced to help webmasters keen to build genuine sites to rectify their errors faster. The new Penguin update is also more granular and this means that it will no more penalize the entire website as was the case earlier. Rather, the Penguin4.0 will penalize at a grainer level or finer level by negatively ranking only the web page rather than the entire site. Moreover, there is going to be no further notifications for the updates. As Google “crawls” the Internet, Penguin will keep updating constantly and no notifications will be offered. The links will however continue to be vital for SEO. The good links are typically the effects of good marketing. Google recommends that it is vital to build compelling sites. The most effective way to get others to produce quality and relevant links to your site is to build relevant and unique content which is bound to gain popularity. When you are able to create quality content on the site, it will invariably pay off; so, the more relevant the content, the higher are the chances of others finding this content valuable for their readers and then creating links to it. It is important to make the site unique and engaging so that it can stand out from its competitors. Therefore, it is necessary to build relations with those who have interest in your content, such as other site owners and bloggers. When Google speaks of high quality, it means that you need to make your site valuable for the target audience. You have to create something useful and then make it known to others. However, in most cases, links are being built before any on-site value is created; this approach is incorrect and you have to first build something. You can use many advanced query operators to find resource pages and high-ranking directories which may be useful to the service or product you are offering. When you have good content on your own site, it is easy to find other sites that have links to similar resources and which may want to establish links to your site. You can also review links in the sites of your competitors to get names of some sites which may want to have links to your site content. But, before doing this, it is essential to create valuable content on your own site. Guest posts may be a good way to get exposure for your products and catch the attention of your target audience. Here too, quality is crucial, and when you have the chance to link some content you should go ahead with it as it will add more value. When you have quality content on the site, you may try to find websites which link to other useful articles and then see whether those site owners are keen to add links to your content. You can look for broken links in websites which you find are useful for your own business. You may also need to generate some content so as to fill the gaps where you find them and this may churn out great results. For local businesses, you can easily find websites of clubs and such other organizations that will accept sponsorship in exchange for branded and safe links on their pages. When you want to create an amazing website, you should to do outstanding work in the real world which will grant your site great exposure in important publications and the press. This will also help to generate links back to your website and help you establish trust. The real trick is to understand what will work for your site and then add links to it to make the Internet richer and make the linking web page useful.